TetherTools Relay Camera Couple CRND4 for Nikon D3/D4/D5. Relay Camera Couplers from Tether Tools work in tandem with the Case Relay Camera Power System (CPS) to keep your camera powered continually with an external 5V USB battery pack or wall power. Relay provides peace of mind knowing you have an uninterrupted power source for your camera. 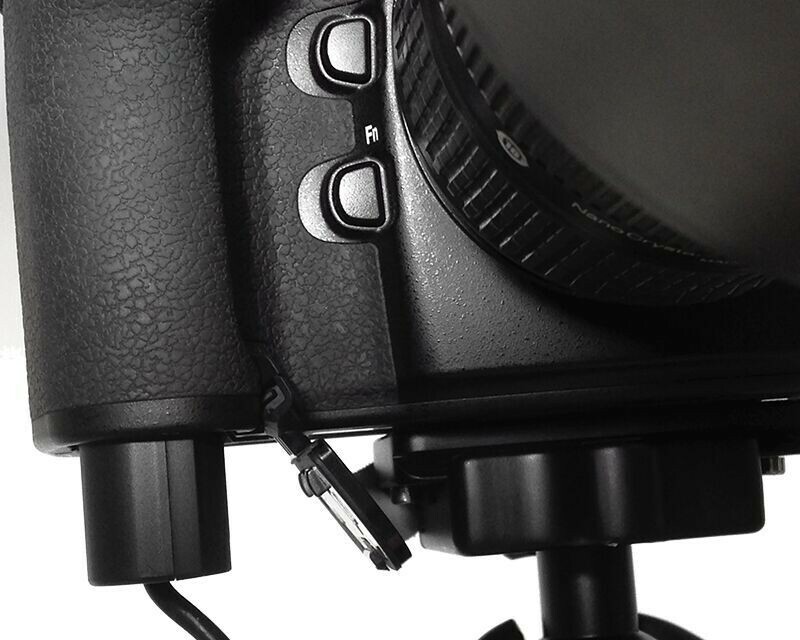 First, find the correct Relay Camera Coupler for your specific camera on TetherTools.com. With 11 different options to fit Canon, Nikon, Sony, and Panasonic cameras, Tether Tools has the uninterruptable power solution for most popular cameras. Check to confirm your camera model is supported at www.TetherTools.com/relay. When you’re ready to get powered up, simply insert the Relay Camera Coupler directly into the camera battery port. Then attach the Relay Camera Coupler to the Case Relay CPS (sold separately) and power your camera with any standard 5V USB external battery (commonly known as a portable USB charger, which you can get most anywhere) or an AC power source, such as a wall outlet or generator. The Relay Camera Coupler combined with the Case Relay Camera Power System provides constant, uninterruptable power for your camera and is perfect for time-lapse photography, photo booths, video production and power-hungry LiveView shooting or any long day on the set. Need more power? Hot swap in another power bank and continue shooting while never losing power to your camera. Pair the Relay Camera Coupler with the Case Relay Camera Power System to provide constant, uninterruptable power for your camera. Relay Coupler is simply an insert for your camera battery cavity that enables powering the camera via Case Relay Camera Power System. The coupler does not contain a battery or hold a charge. Compatible with most Canon, Nikon, Sony, and Panasonic cameras. Check to confirm your camera model is supported.